We’ve been discussing feelings with My Mood Stars this week from Wendy Woo. As mental health and wellness is the focus on the blog right now these fit in perfectly! Being able to discuss our feelings is important and learning that from an early age can only be beneficial. Self-confident children in touch with their feelings find it easier to flourish in social situations. Indeed personal, social and emotional development and communication are key aspects of the Early Years Foundation Stage in the UK. Children who understand and can express and manage their own emotions, as well as those around them, are more likely to develop a positive sense of self and be assured and inquisitive learners. We’ve spent the week discussing & drawing what makes us feel each feeling. We began with finding one thing for each feeling and I was pleased to see the girls could easily come up with ideas. We received a My Mood Stars book to record our feelings in which you can buy for £5.99. Eva really enjoyed drawing each feeling and came up with some great pictures! We’ve used the board to throw Stars when we want to discuss a feeling too. Angry has been used quite a bit with the girls off school and arguing. It’s had a very positive effect as they then take the time to listen to each other. Another activity we have enjoyed is looking back at our day and through feelings and what made us feel that way. From waking up Cross because there’s too much noise in the building to feeling Happy because we watched a film. 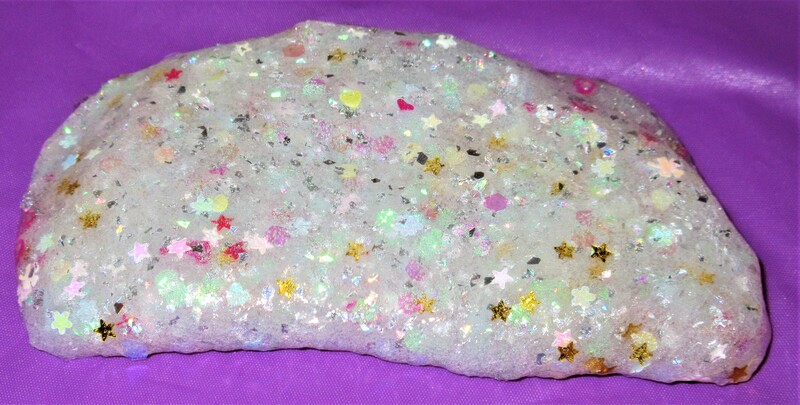 It’s lovely to see the girls discussing their feelings and I love the whole idea behind My Mood Stars. You can also buy a fantastic rhyming book called Rat’s Musical Band written by Wendy White which the girls really enjoyed reading. It really flows nicely and appeals to children with colourful illustrations by Claire Rollinson. This is just £9.99 on the Wendy Woo Site. Another lovely addition to the Wendy Woo Site we were kindly sent are cute baby Tooth Pockets. The girls love these and now can’t wait until they lose a tooth! Right now they are only £2! 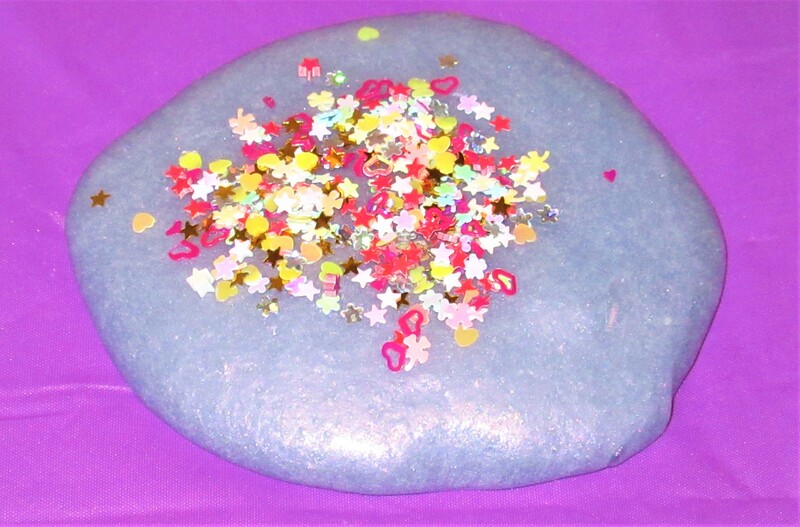 What do you think of My Mood Stars and the other Wendy Woo products? 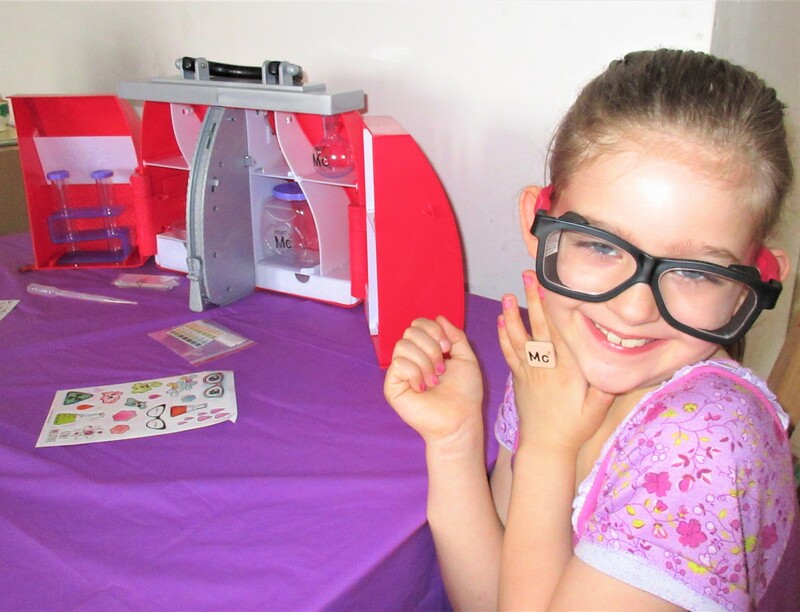 Eva received the Project Mc2 Ultimate Lab Kit to review this week. 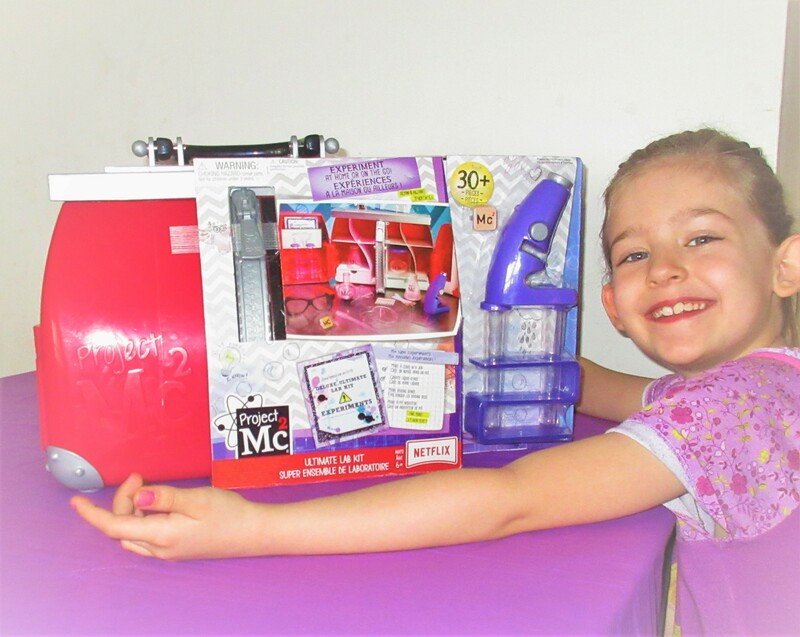 She loves her Camryn Coyle Doll she reviewed earlier this week & was ecstatic to receive the Ultimate Lab Kit too. Project Mc2 is a Netflix series aimed at encouraging girls to enjoy S.T.E.A.M based activities. S.T.E.A.M stands for Science, Technology, Engineering, Arts & Maths. Definitely a good choice for girls Eva’s age! The fab Ultimate Lab Kit comes in a handy zip up plastic bag which opens up to reveal fantastic storage & science apparatus. Project Mc2 Ultimate Lab Kit is suitable from 6 years & requires adult supervision with several experiments. The set comes with safety goggles, a Microscope, glass slides, test tubes with a stand, funnel, beaker, 3 lab bottles, PH strips, pipette, petri dish, safety goggles. 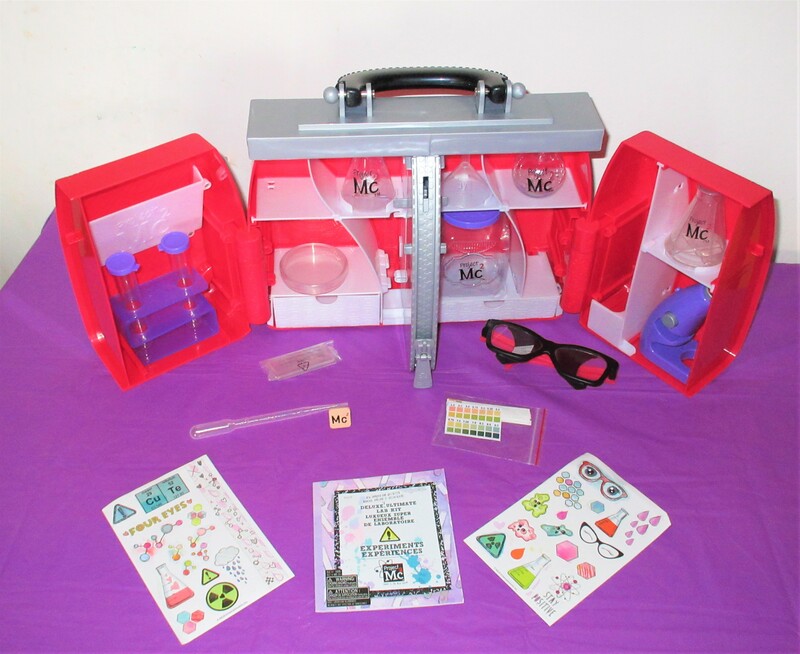 The Ultimate lab kit also comes with a fashionable Mc2 ring & 2 sticker sheets & a book full of fun experiments to try. This fantastic lab kit comes with all the basics to get started with some fun experiments & a booklet to help you out with 30 experiments to try! Each experiment requires household ingredients you may already have or can be easily found in supermarkets. 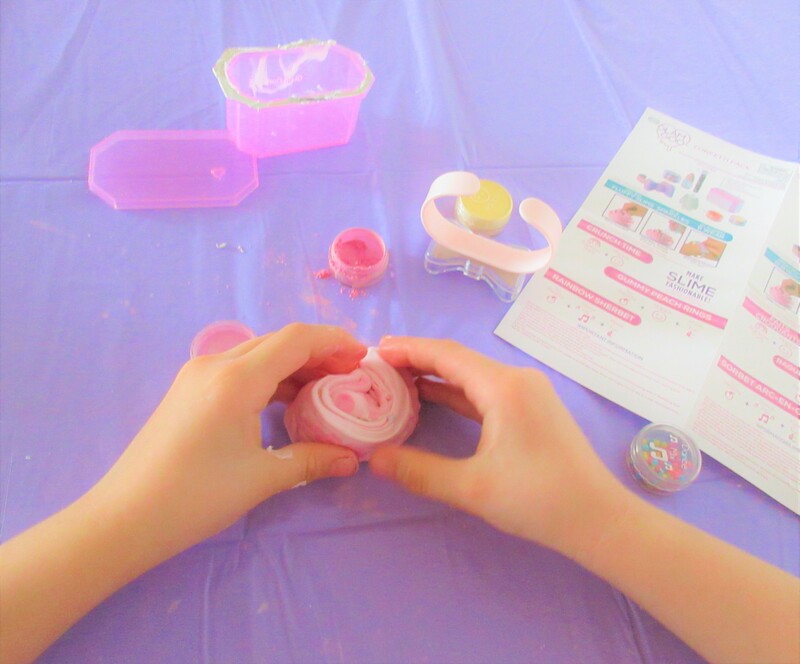 This fun lab kit really does encourage girls to enjoy experimenting & having fun, Project Mc2 is definitely a new favourite here! Having checked out the contents of this fab kit & tried on the safety goggles & Mc2 ring, we took a look through the book of experiments to see if we had any ingredients to help us get started. The Cloud in a jar experiment is the first experiment we found in the helpful booklet full of experiments. It seemed simple enough & we had all the items needed. 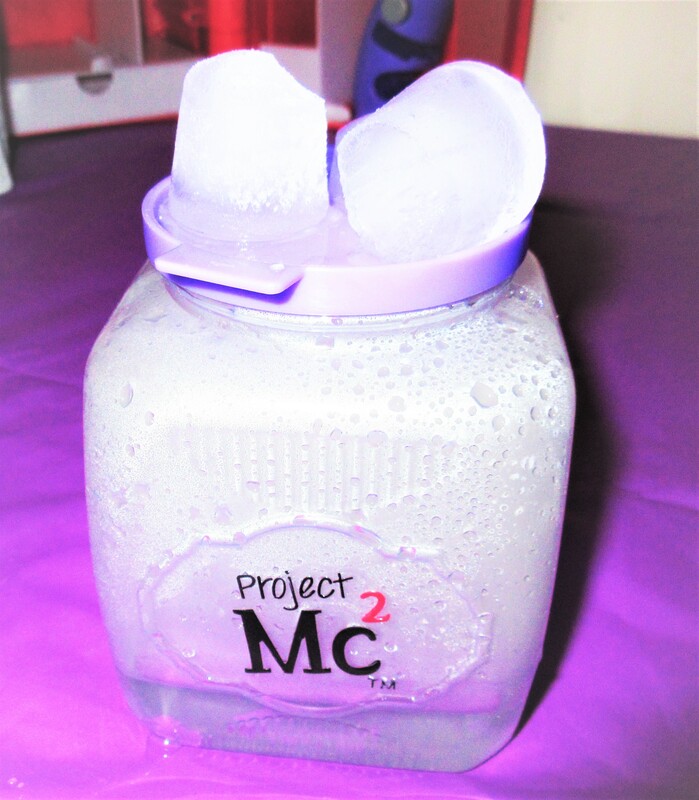 For this experiment, you will need an aerosol Ice Cubes & Boiling Water & the Project Mc2 beaker. We ended up making a cloud in a jar twice, the first time didn’t work out too well. Our hairspray may have sat in the cupboard a little too long, oops! Trying again with my Sure spray we sprayed a little into the boiling water. We then sat the lid upside down with ice cubes on top & waited to see what happened. This experiment shows how a cloud forms, using boiling water which creates lots of warm water vapour. As the ice quickly cools it forms tiny water droplets AKA clouds! The aerosol spray gives water molecules something to hold on to which they need to do as they cool down. 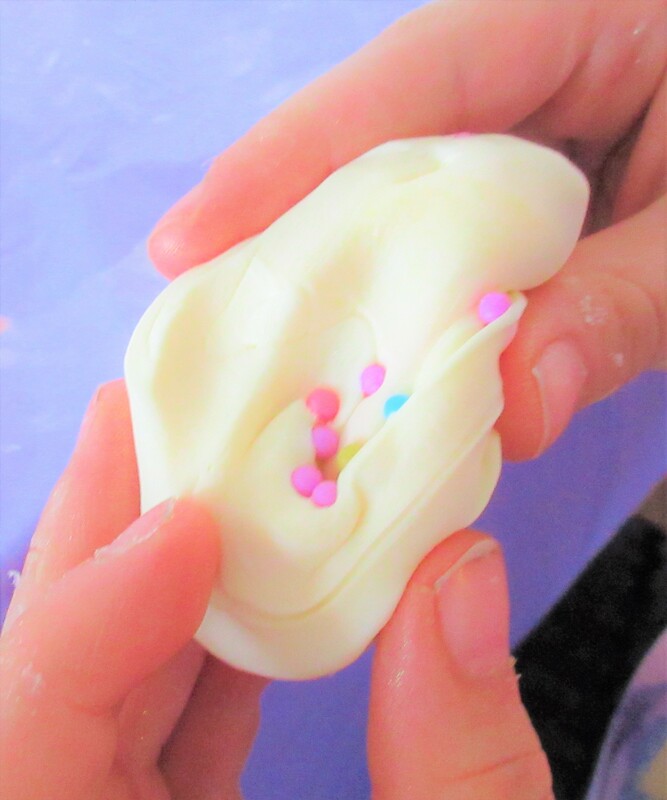 Our second attempt turned out a little bitter but our cloud definitely preferred to stay in the jar! Eva really enjoyed this experiment & is writing a shopping list of ingredients for our next experiment. 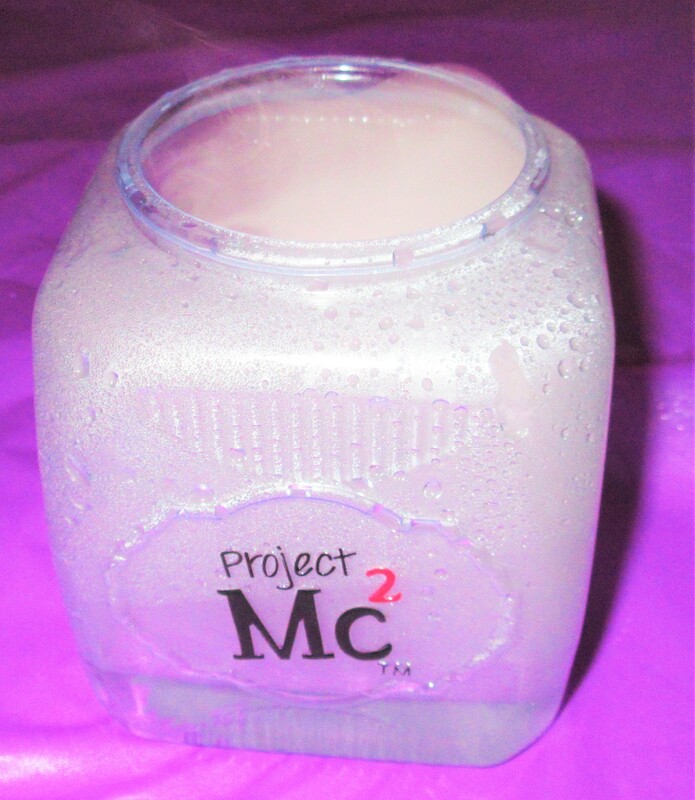 The Project Mc2 Ultimate Lab Kit is fantastic for getting girls excited about science & encouraging them to experiment. 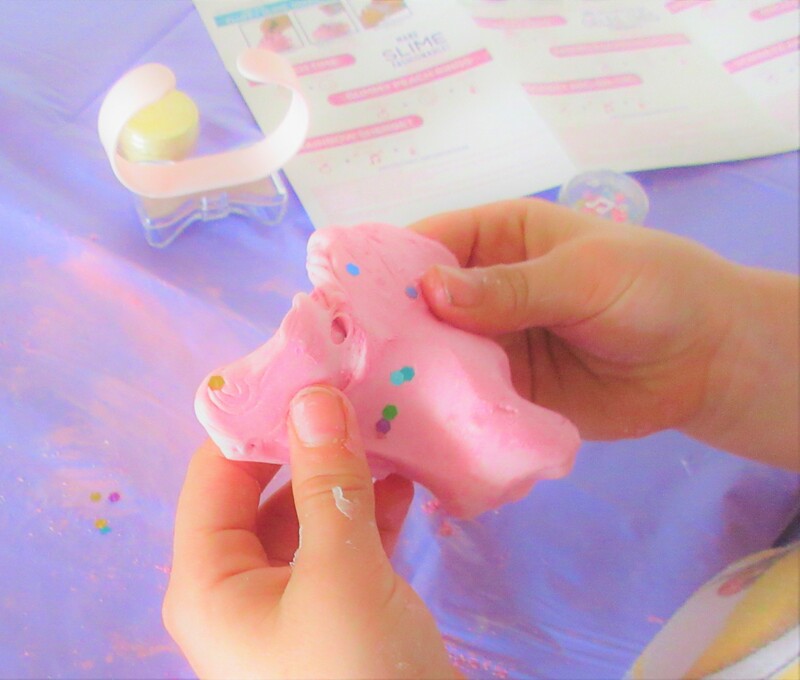 We try to encourage the girls to do things like this at home & having the Project Mc2 Ultimate Lab kit is definitely going to make that easier! 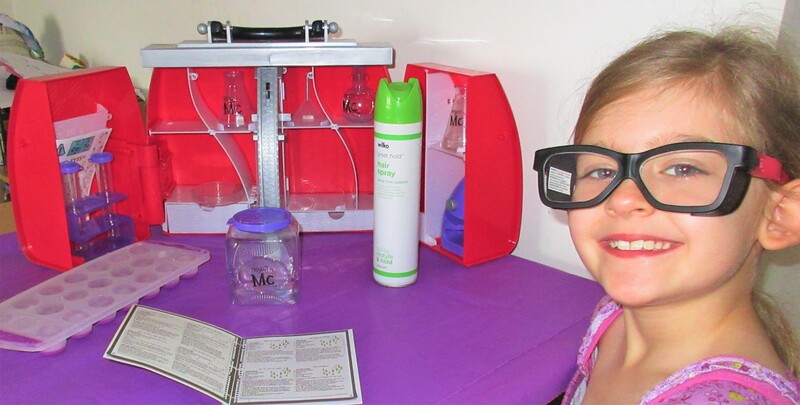 What do you think of the Project Mc2 Ultimate Lab Kit? 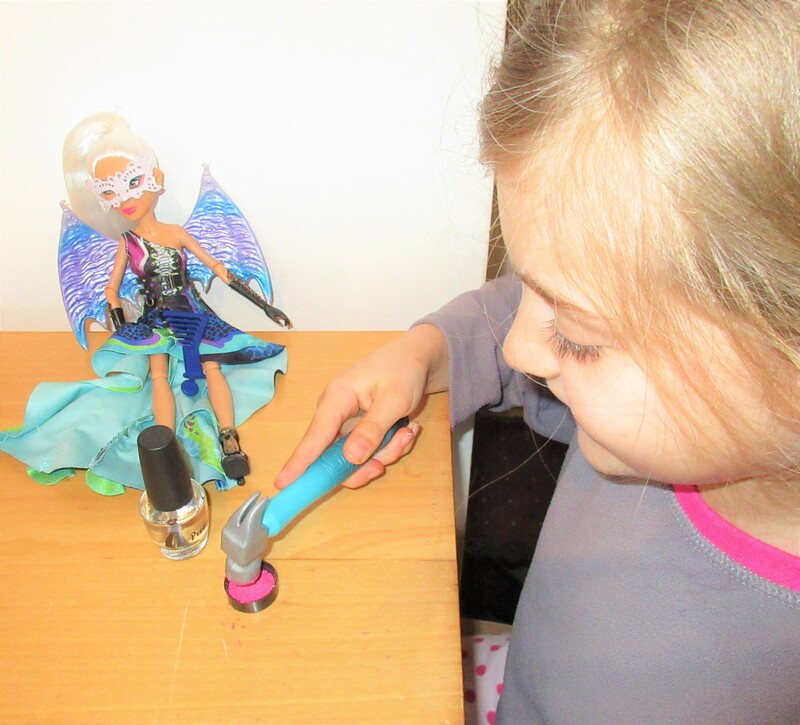 Eva received a Project Mc2 Experiment Doll – Camryn’s Nail Polish to review this week. Project Mc2 is a series on Netflix showing smart is the new cool with a team of 4 super smart, seriously cool girls. 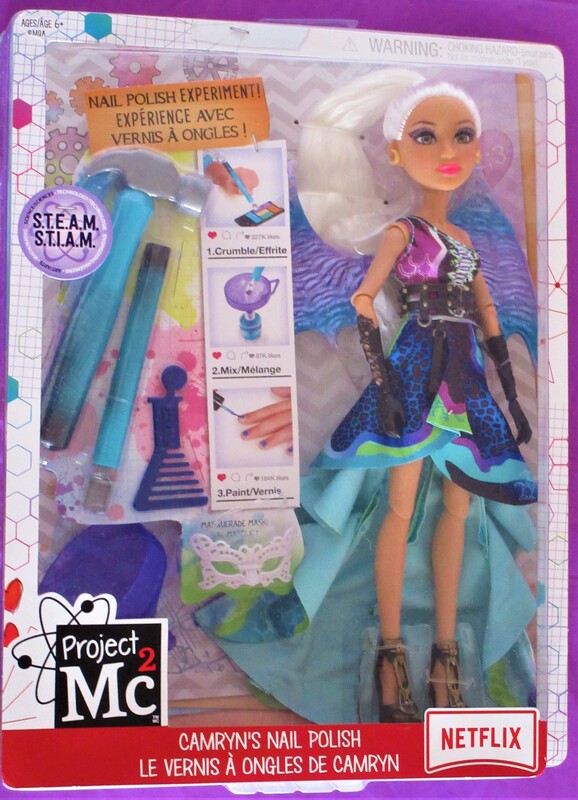 Each Project Mc2 Experiment doll comes with an experiment for you to complete at home with the help of S.T.E.A.M (Science, Technology, Engineering, Art and Maths). 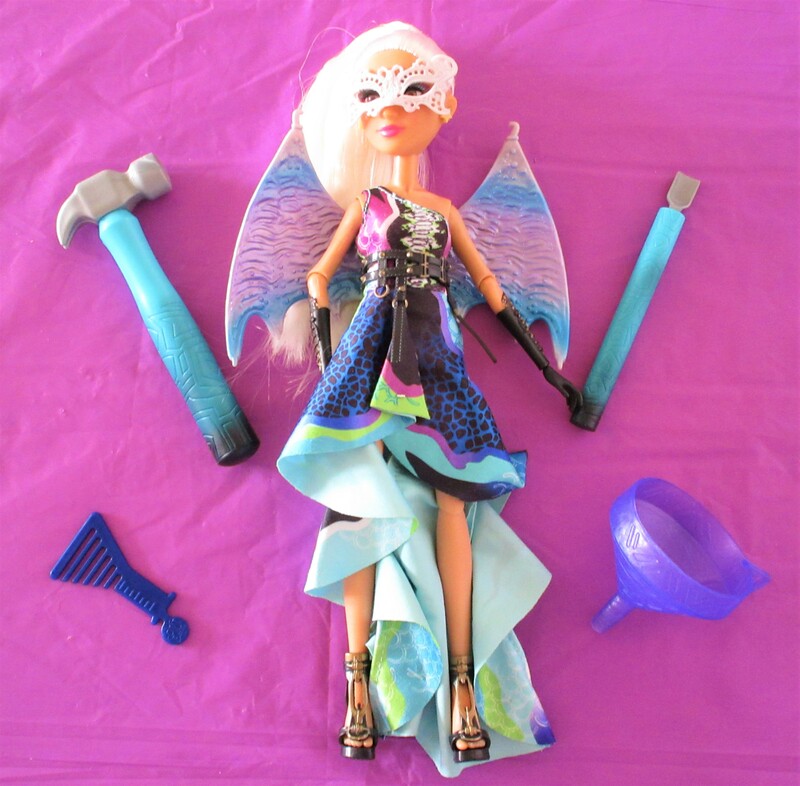 Camryn Coyle is the construction queen & this fab 12″ doll comes dressed in an off the shoulder ball dress with detachable dragon wings & mask. 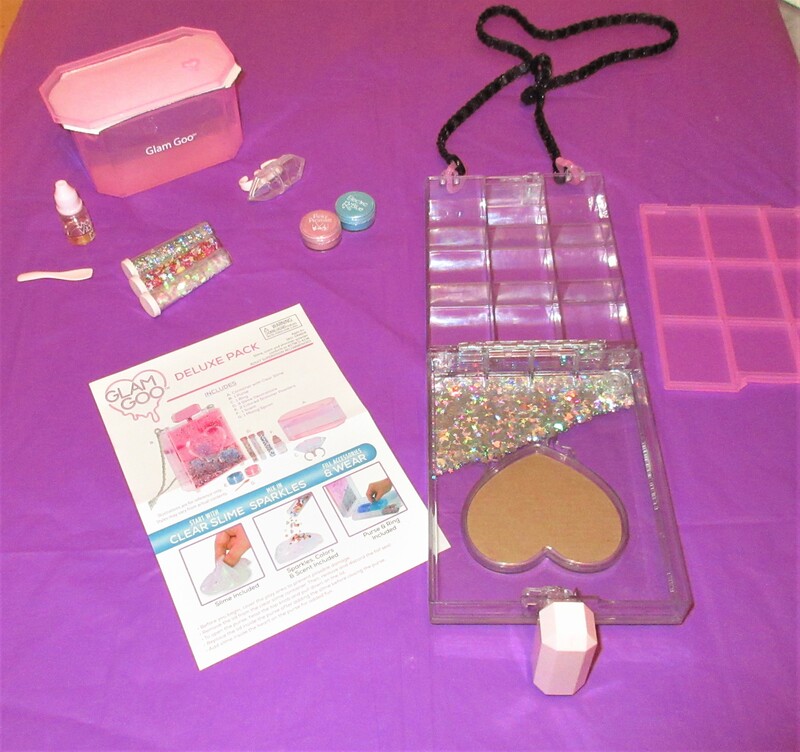 Camryn also comes with a mini hammer, excavator & funnel to help you with your Nail Polish experiment. 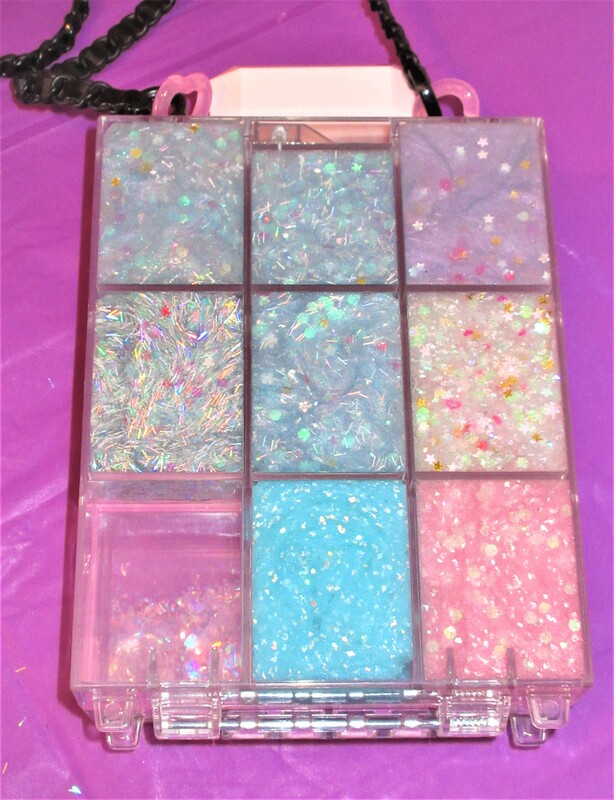 Eyeshadow is usually made from a mixture of talc powder and coloured pigments which is pressed into a palette. 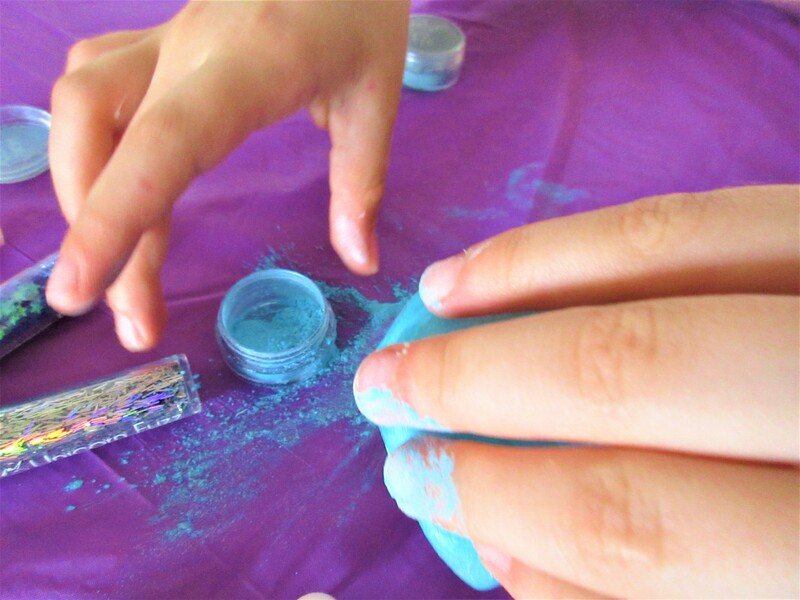 Crushed eyeshadow can be dissolved in nail polish which is usually made from ‘Ethyl Acetate’. Scientists call this a ‘Non-Polar Solvent’ which allows you to add colour to your clear nail polish. Firstly, Eva broke up the eyeshadow by smashing it up with the hammer. Once the eyeshadow was crushed up, Eva began scooping the loosened powder into the funnel. We sat the funnel on top of the clear nail polish bottle. Then she closed the bottle up and shook it up until well mixed, creating a pearly pink colour. 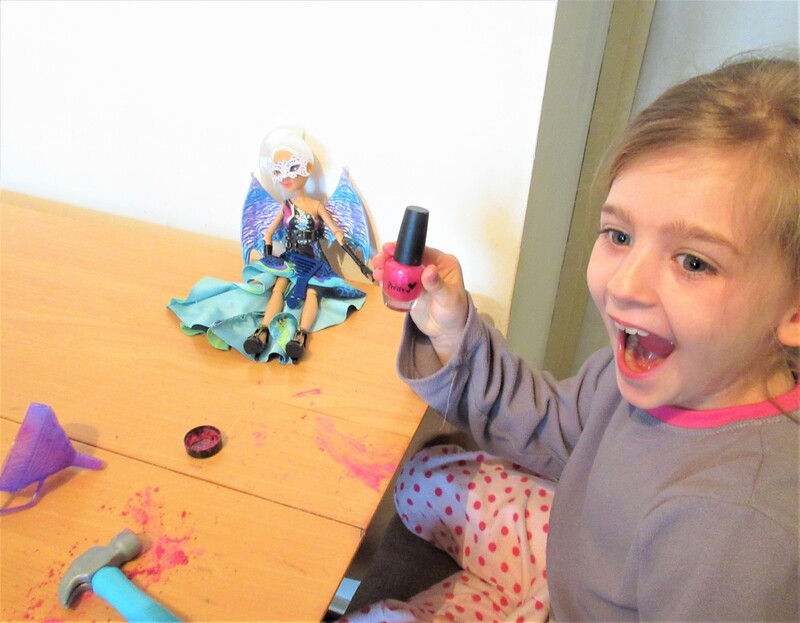 As you can see, Eva was really pleased she had made her very own pink nail polish. Eva can’t wait to try out some more experiments & can’t wait to check out the rest of the Project Mc2 dolls. 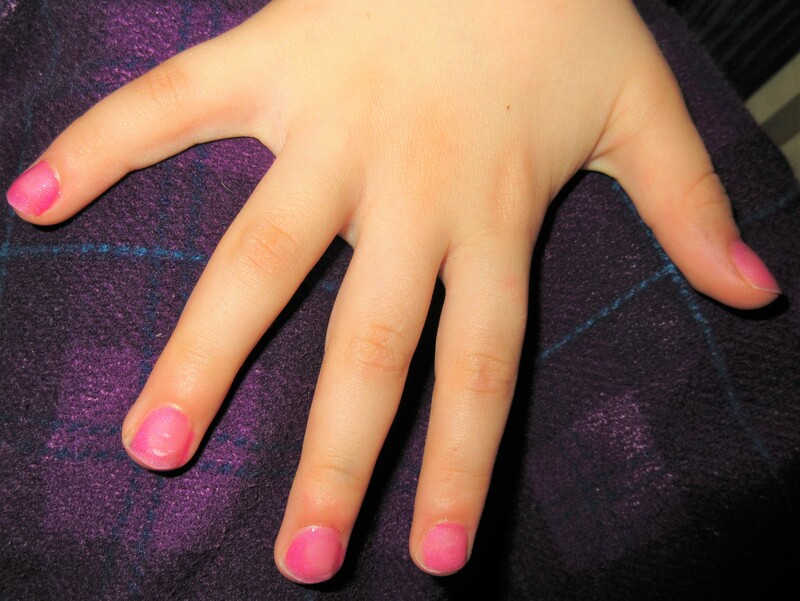 We then tried out her nail polish out to see how well it had turned out, she was really pleased with the result! 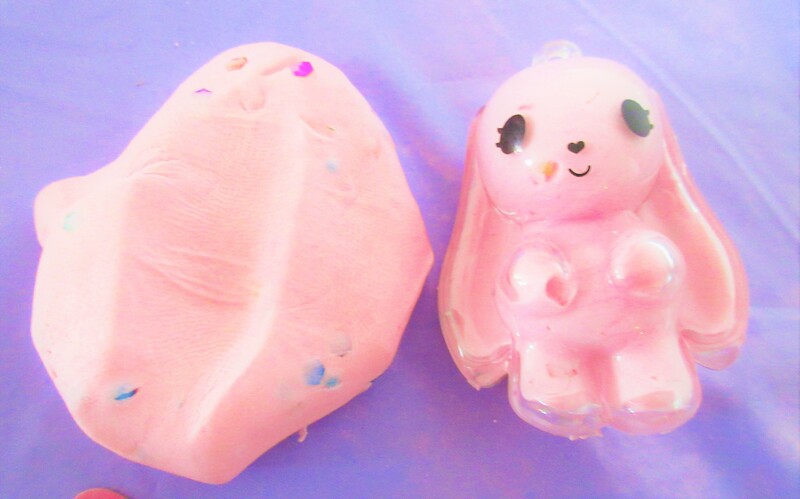 Eva said it was a super fun experiment. 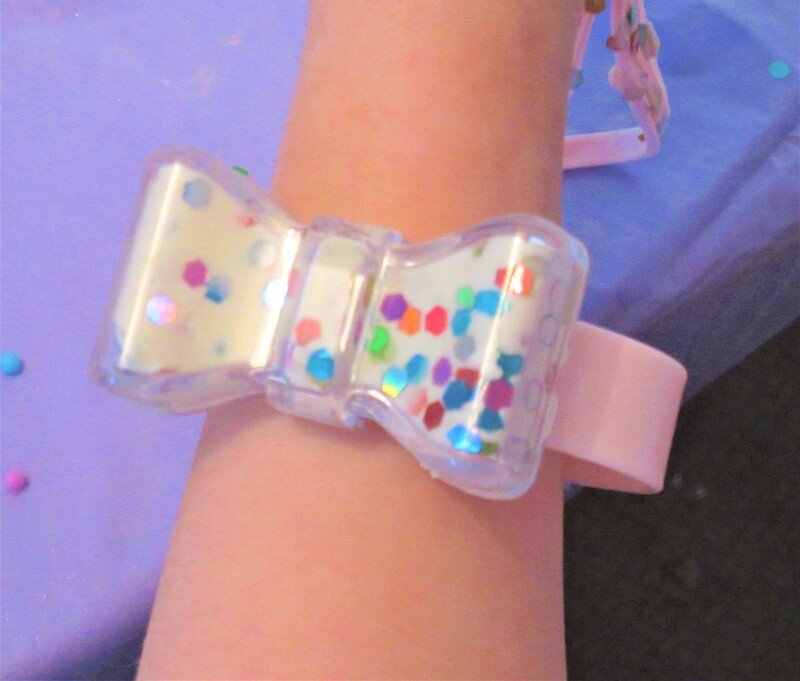 What do you think of Project Mc2 Experiment Doll – Camryn’s Nail Polish? Have you seen the Netflix series? 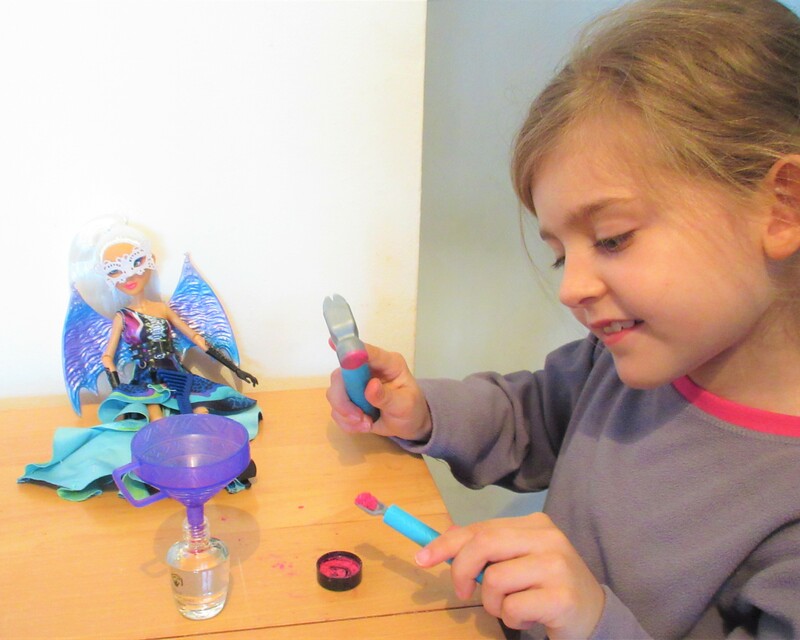 Eva’s having fantastic fun with the Glam Goo Fantasy accessory pack having recently reviewed the Confetti pack too. 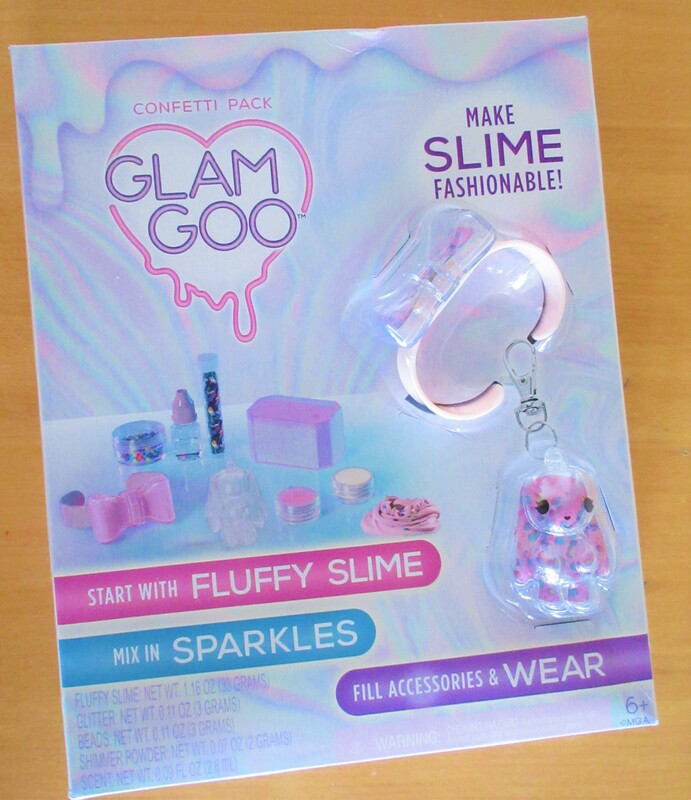 This fab accessory pack comes with all you need to have fantastic fun creating your own Glam Goo! 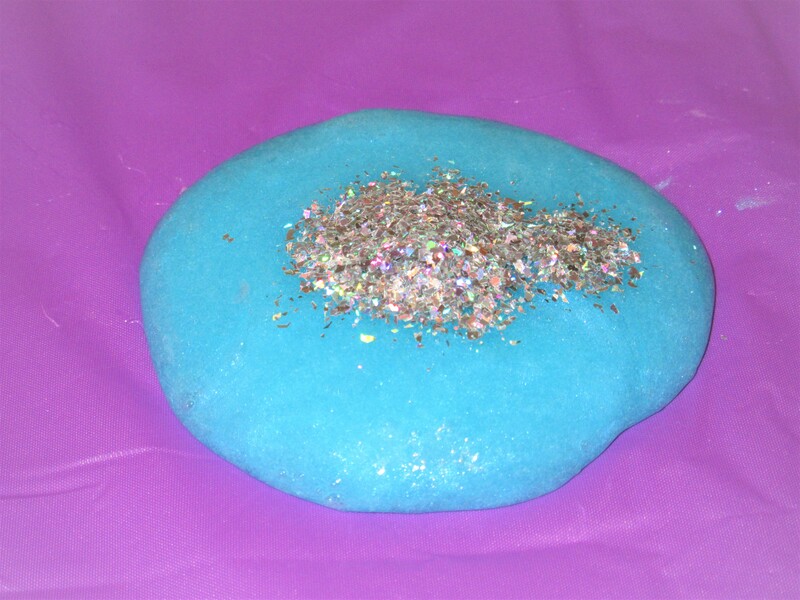 This pack contains a pot of clear Glam Goo along with 2 pots of colour. 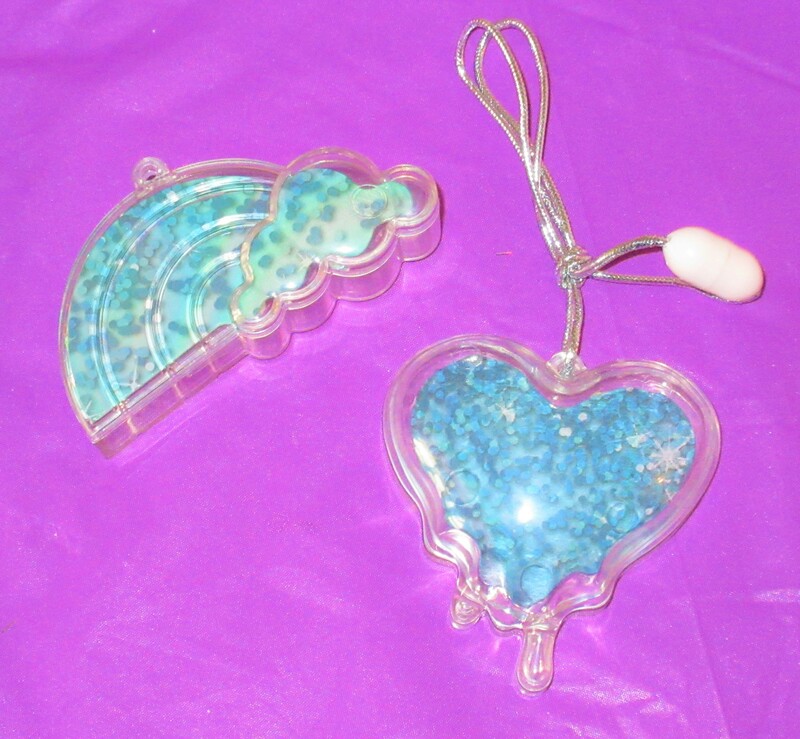 These shimmering colours contained in the Fantasy pack are ‘Magic Hour’ and ‘Mint Skies’. 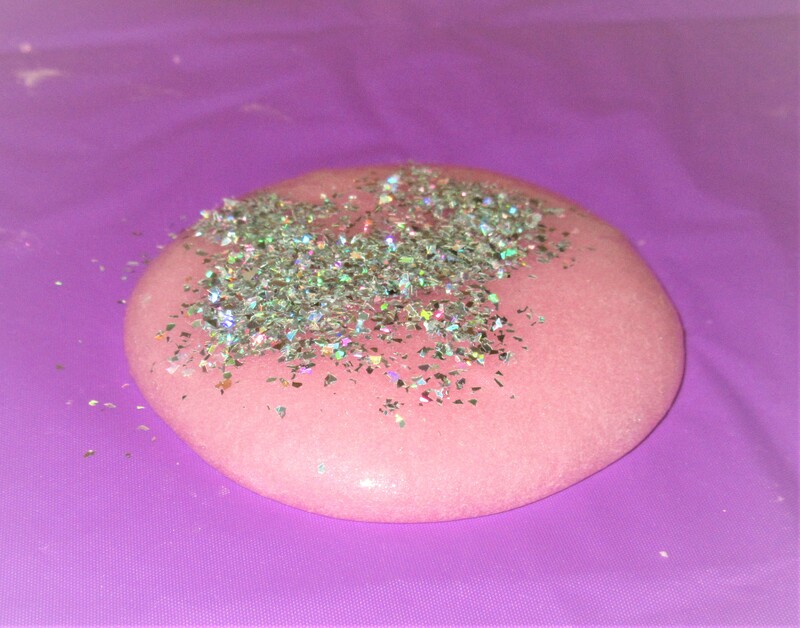 It also contains 3 pots of sparkles in ‘Cosmic Dust’, ‘Mermaid Wishes’ and ‘Unicorn Fuzz’ and Rose Mist Scent to make your Glam Goo. 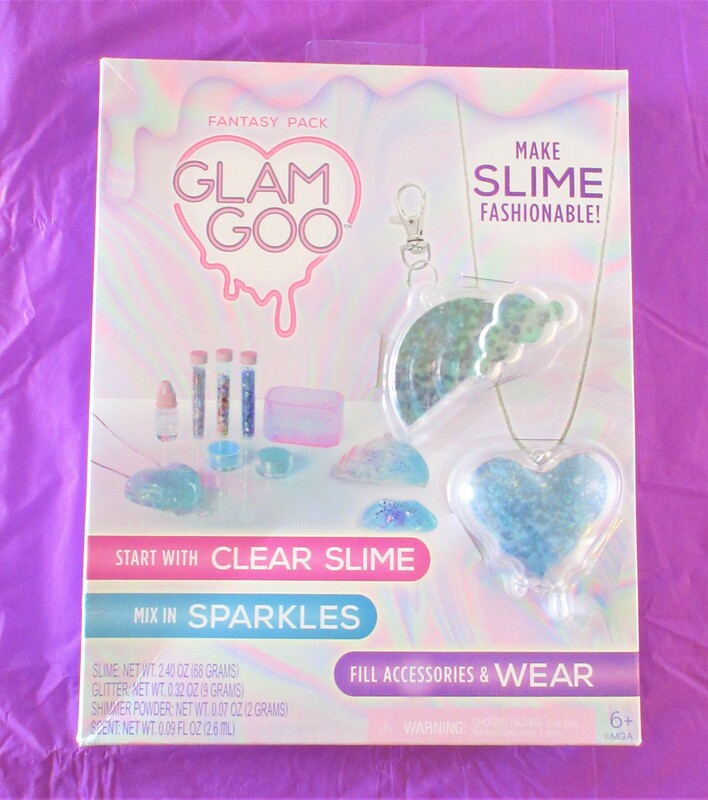 The fantasy pack also comes with a rainbow charm and Heart necklace to fill with Glam Goo and wear. 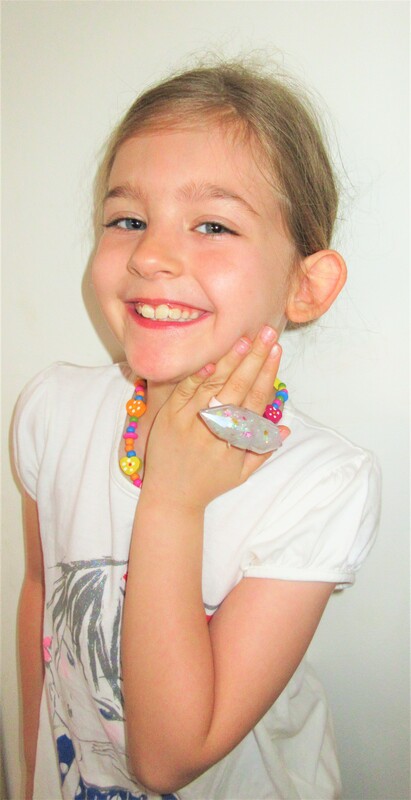 Eva loves these accessories packs and this one is right up her street! She couldn’t wait to get started, setting everything out neatly before she began. 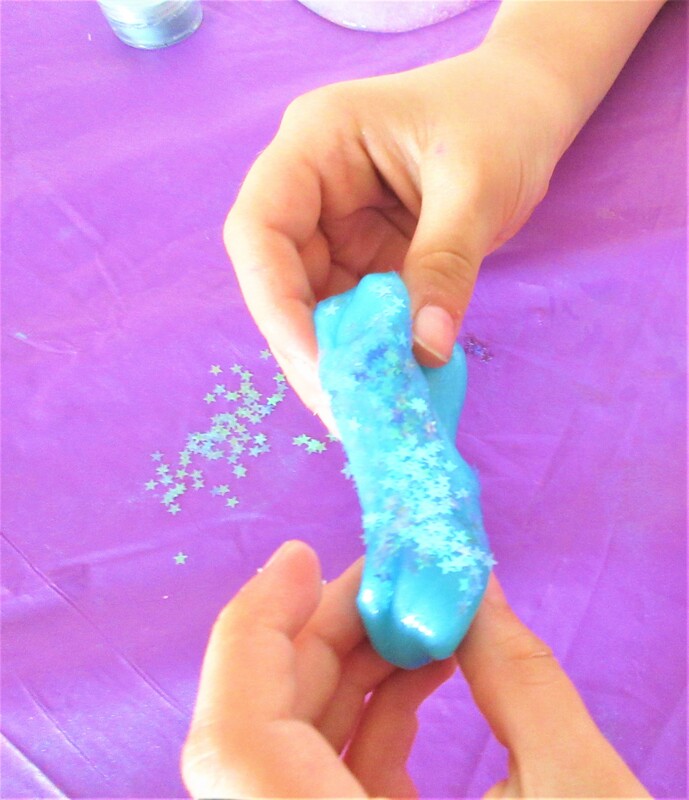 Eva decided to start off using the Magic coloured powder turning her goo a sparkling blue. We both love how this colour turned out with the way it shimmered and looked magical! After adding ‘Magic Hour’ Eva Decided to add in some ‘Cosmic dust’ too. These look really cool and catch the light so magically. 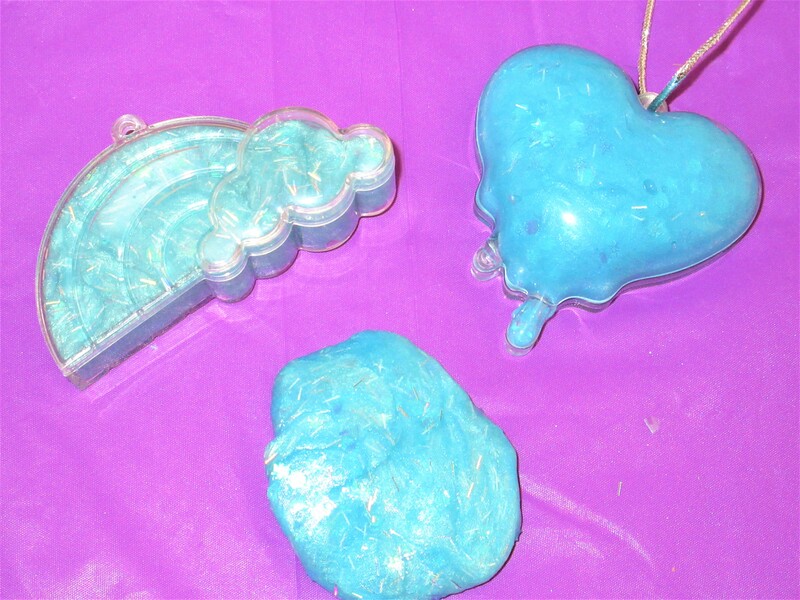 To finish, Eva placed this Glam Goo into the Heart necklace accessory. She was really pleased with this and couldn’t wait to try it on and pose for a photo. Once she was finished posing, she quickly got back to work making the other half of her Glam Goo a shimmering green with ‘Mint Skies’. I almost missed it, she was so quick to get going again! 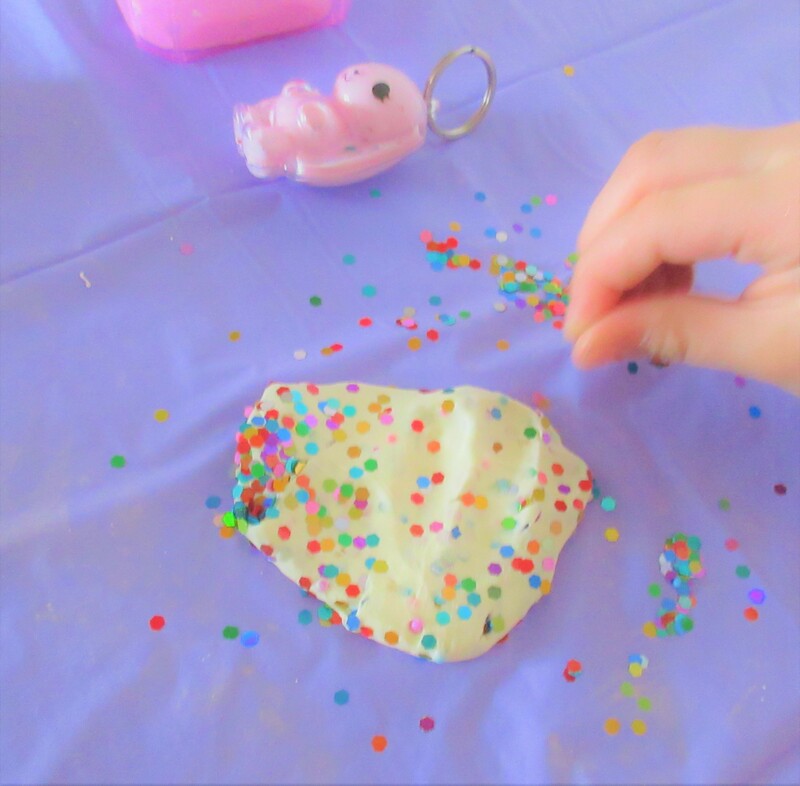 Eva poured a mixture of sprinkles onto the table and added them to her Mint Skies Glam Goo giving it a fantastic fun mermaid theme. 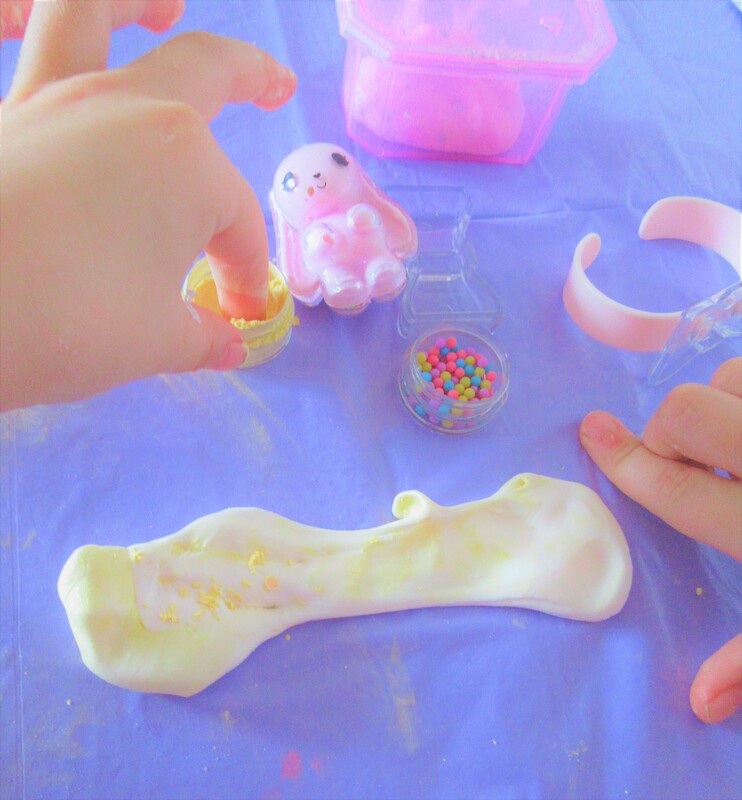 After working plenty of sprinkles into the second half of the Glam Goo, Eva popped it into the rainbow accessory piece. 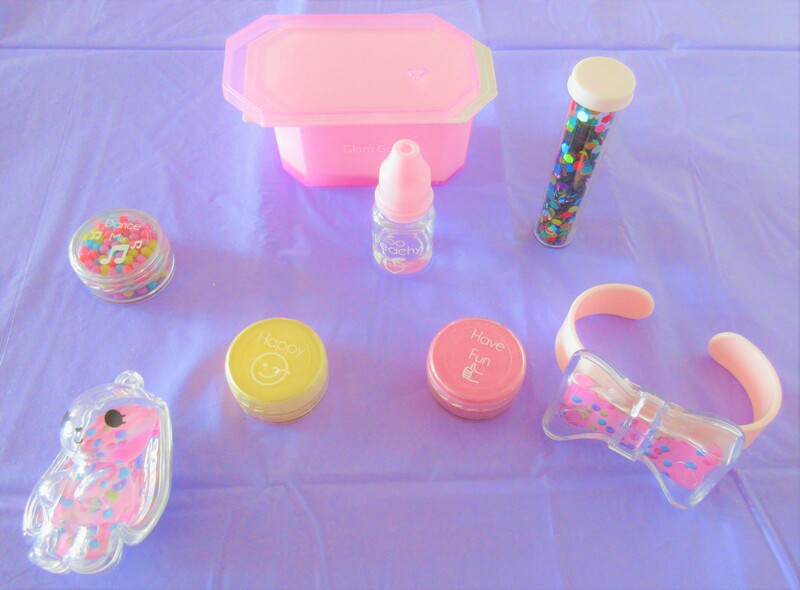 This fantastic fun accessory pack kept Eva busy for quite some time after creating her own mixes with the ingredients. She had a little left over too and enjoyed adding a little of everything in too! 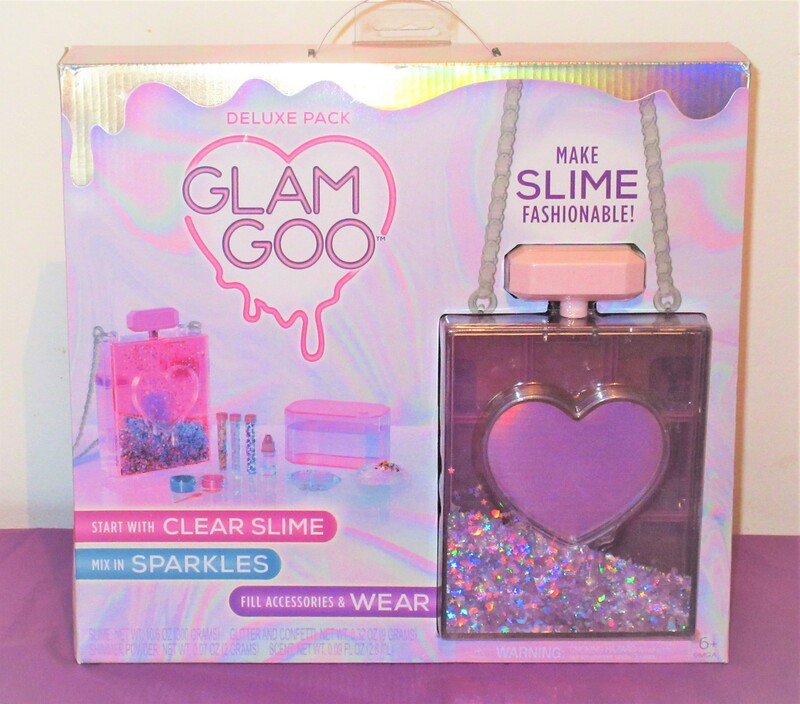 The theme of this pack was a favourite too and she can’t see what Glam Goo come up with next! 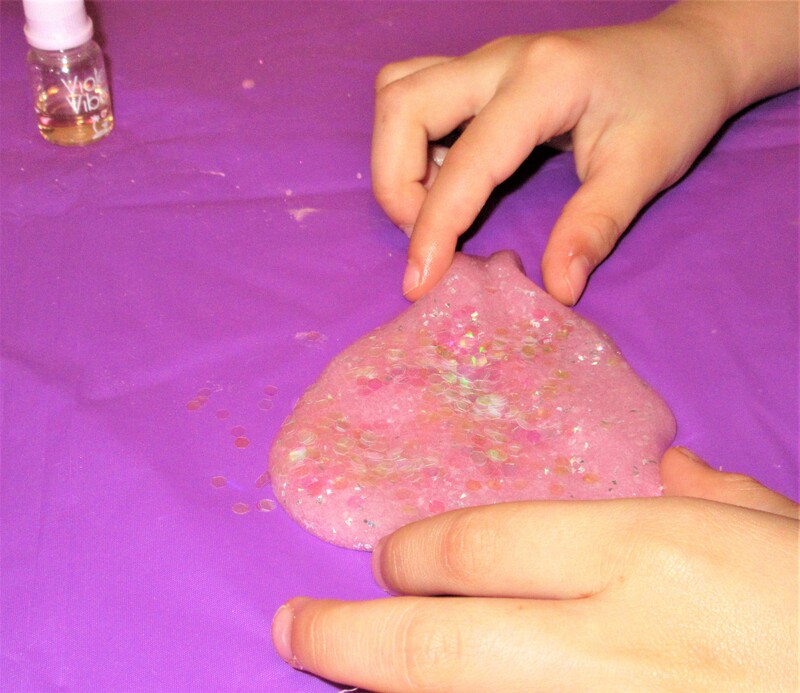 Have your kids tried the Glam Goo Fantasy Pack yet? I’ve driven past Southend toy shop Argosy Toys AKA Toymaster since I was a child and always looked through the windows in awe! With its bright yellow front, you can’t miss this Southend toy shop. If you look a little closer you will a selection of all kinds of children’s toys. They also have an online store. I was shocked to find out Argosy Toys are a small independently run toy shop owned and run by Paul. Having worked there for close to 30 years is pretty impressive for any toy shop! It must be lovely for the locals growing up, recognising Paul behind the counter and going on to take their own children in to buy toys too. Argosy Toys donate a big chunk of their small profits to SOS Domestic Abuse, local schools and Southend Hospitals Neptune Ward. I admire anyone who uses their small business to support causes like these and hearing Argosy toys could do with some extra local support, felt the need to share with you all this gem! Stocking thousands of toys including big brands, this shop has a whole range of fab toys. They have something for all age ranges and interests. If you are passing through then please pop in and support this lovely shop. Don’t forget, you can order online too! Whether you take the kids in to pick for themselves or find something yourself as a gift, you’ll be supporting good causes too. You can also buy from Argosy Toys online with £2.99 delivery or free delivery on orders over £40. Perfect for big birthday orders! From Hatchimals, LOL dolls, Playmobil and flush force you are bound to find the perfect gift and make someone’s day. Have you ever visited this Southend toy shop before or perhaps spotted it driving past?